Cost-effective ideas, imaginative specifications, deliverable solutions. Explore some of the work Acorn Works has carried out for customers across East Anglia. Our tags help you find the most relevant case studies. Click on one of the most popular tags below, or search for something specific. 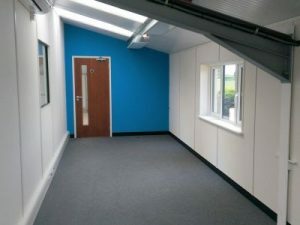 Office & Washroom Refurbishment – King’s Lynn, Norfolk. It’s always nice when a client is so happy with their office refurbishment that they volunteer to act as a site showroom for Acorn Works. 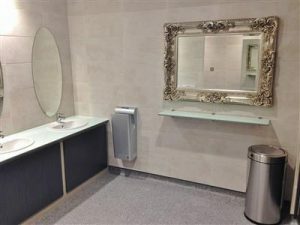 Washroom Refurbishment – Norwich, Norfolk. Following a successful initial project for on this site last year, Broads Edge Marina once again commissioned Acorn Works to deliver a washroom refurbishment within their new campsite shower and toilet block. Canteen Refurbishment – Wisbech, Cambridgeshire. Providing a modern and relaxing area for staff was the brief for this project, whilst keeping within a strict set of budgets. 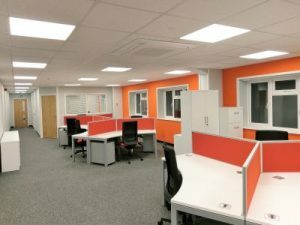 Mezzanine and Office Refurbishment Project – Norwich, Norfolk. Mezzanine floors are one of the most cost-effective methods of adding valuable new floor area to any commercial building, utilising spare and often wasted height. 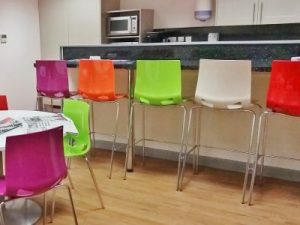 Canteen Refurbishment Project – Ely, Cambridgeshire. 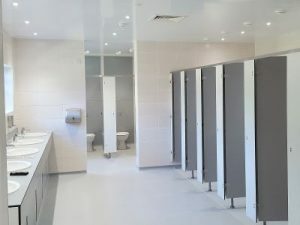 Improving welfare facilities for staff is currently experiencing an increase in popularity, as companies recognise the value of improved morale and productivity with the provision of better facilities. Washroom Refurbishment Project – Diss, Norfolk. As one of Acorn’s longest standing customers, the next refurbishment phase for Midwich included this modern, classy and contemporary first floor toilet refurbishment.